The Church celebrates the ‘All Saints Day’ – a day to recall to our mind all who have faithfully lived before us as God wanted, and to remind ourselves that we too are invited to do the same. In this short span of life (as the psalmist says seventy years, or eighty for those who are strong), our vocation is ‘to be’ and ‘become holy’. This is the invitation presented through the first reading: We are all invited ‘to wash our robes and make them white in the blood of the lamb’. It is our vocation: to become holy by the blood shed for us on Calvary. This will help us to be pure as He is pure. This purity offers us a hope – a hope that we shall see Him, we shall be with Him and we shall be like Him forever (as explained in the second reading). This hope for purity is not just other-worldly. It is experienced and expressed in this life itself as enumerated by Jesus in the Sermon on the Mount. God calls the following people blessed in this discourse: those who are poor in spirit, meek, merciful, pure in heart, peacemakers, and those who mourn, hunger and thirst for righteousness and those who are persecuted for righteousness’ sake. Is it possible to identify ourselves with one of these promises of Christ? If yes, thanks be to God; if no, let us change our way of life in order to be found worthy of these great promises of God. 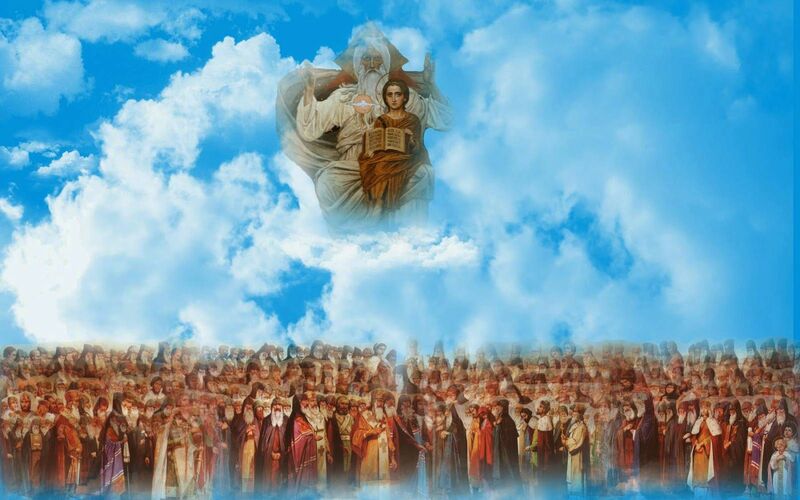 As we think of the multitude number of saints who have gone before us, let us resolve to become one like them and let us be sure that the blood of Christ is always there to give us all the graces necessary in this regard.